Some of these effects plus many others have been released in the three Terri Rogers ebooks that can be found here on Lybrary.com: Secrets (1986), More Secrets (1988) and finally Top Secrets (1998). Terri Rogers had an ingenious mind and released a number of effects commercially and probably the best known of all is The Master-Key which many performers consider to be the best book-test ever created. Despite being a talented creator and inventor of magic Terri Rogers was better known as a ventriloquist and she and Shorty Rogers (her vent doll) traveled the world together. 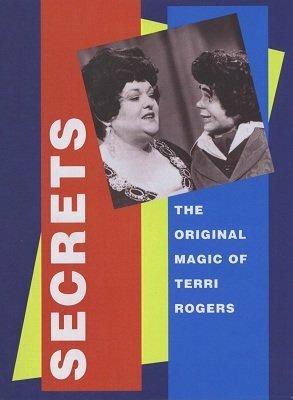 Terri Rogers and Val Andrews were lifelong partners and friends and together they made a major contribution to the art of magic.